Wickedfood Cooking School in Johannesburg recently hosted members of IQ business for a wonderful evening of competitive cooking. 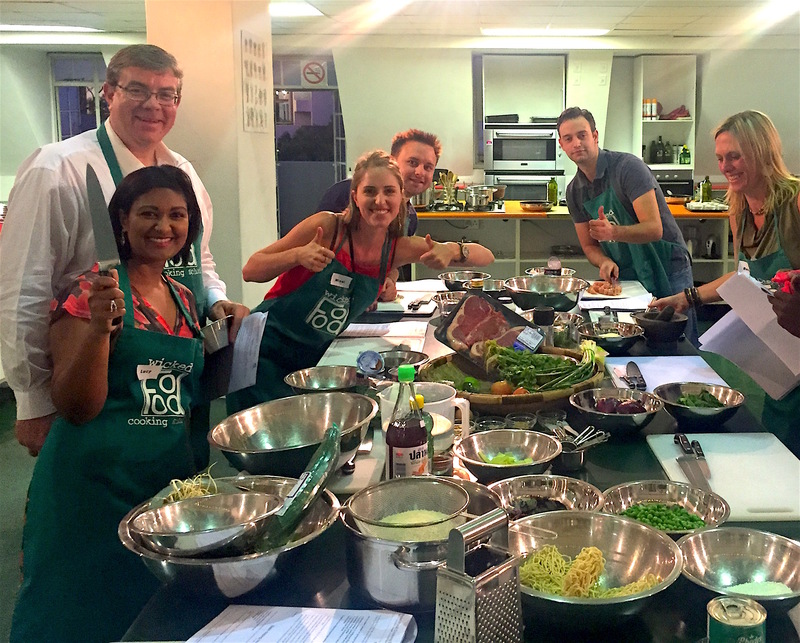 These corporate cooks were given the same ingredients and recipes, and asked to make up a 3 course meal using the recipes as guides. This unique team building cooking class is a wonderful way to get participants into a non-threatening environment in which to interact and have fun. Our cooks on the night did a great job and managed to cook a wonderful dinner for themselves. For more pictures of this great team building idea, click here. 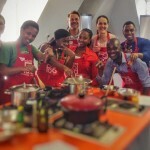 Wickedfood Cooking School in Sandton, Johannesburg is the ideal venue to host your next cooking team building activity. This team building venue is a really great way to mingle and interact with fellow colleagues in a private venue. This 3 and a half hour cooking class includes all your notes/recipes, ingredients, use of an apron and limited soft drinks and fruit juices. For more information on these cooking classes and more, click here.